Deliciously grilled lemongrass short rib steak on a fresh 9 inch french baguette spread with freshly made aoili and truffle pate. 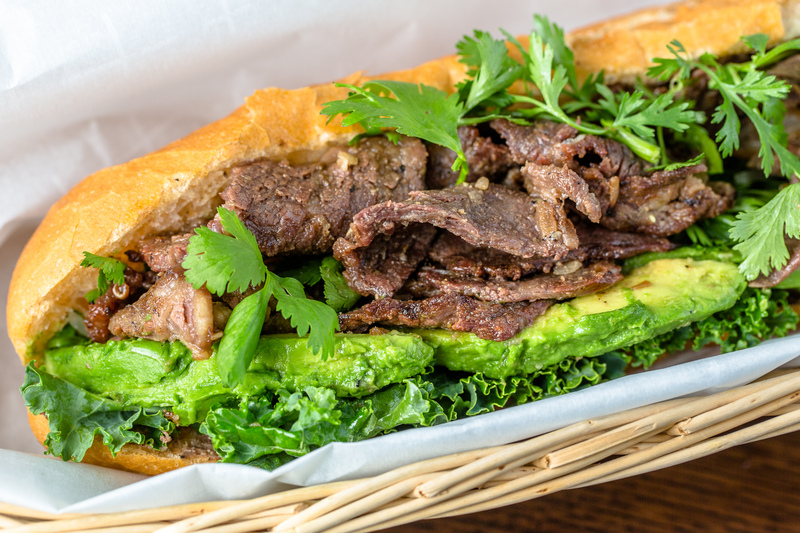 Topped with fresh avocado and Kale, a one of a kind Bun Mi original. Optional Jalapenos or sriracha sauce, request in notes upon checkout.